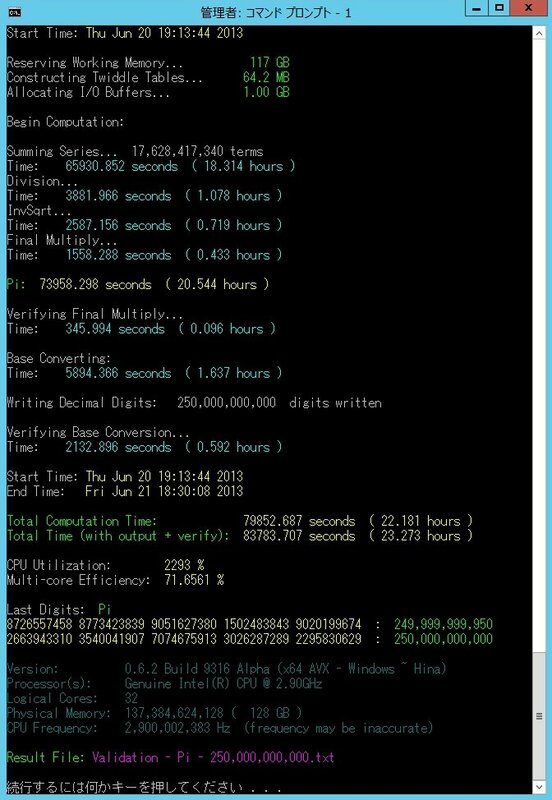 11.115 hours v0.6.9 x64 AVX2 Airi Windows Swap Shigeru Kondo 2 Intel Xeon E5-2683 v3 2.0 GHz 125 GB DDR4 20 ? 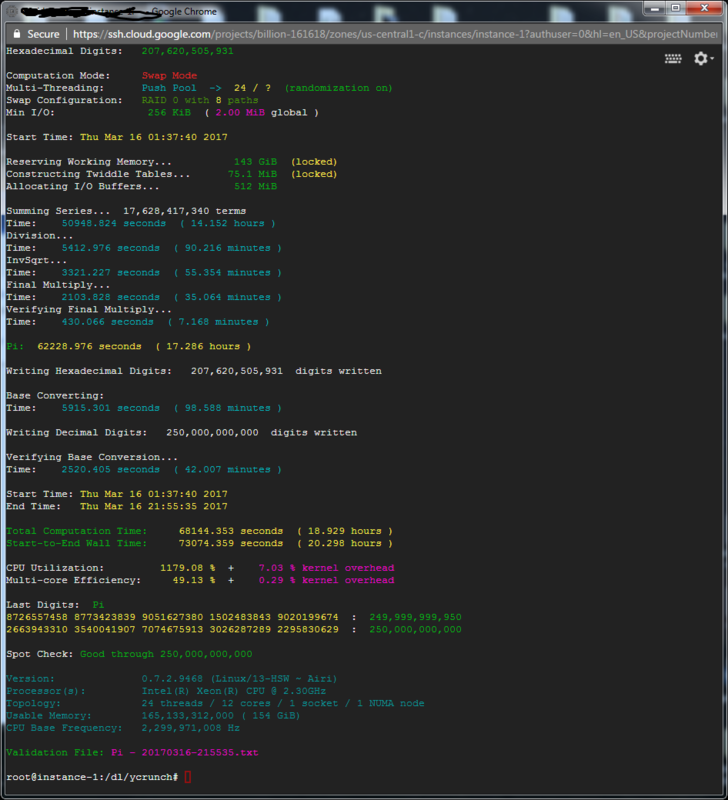 72.303 hours v0.6.9 x64 AVX Hina Linux Swap 110 GB yoyo 2 Intel Xeon E5-2620 v2 2.1 GHz 128 GB DDR3 ? 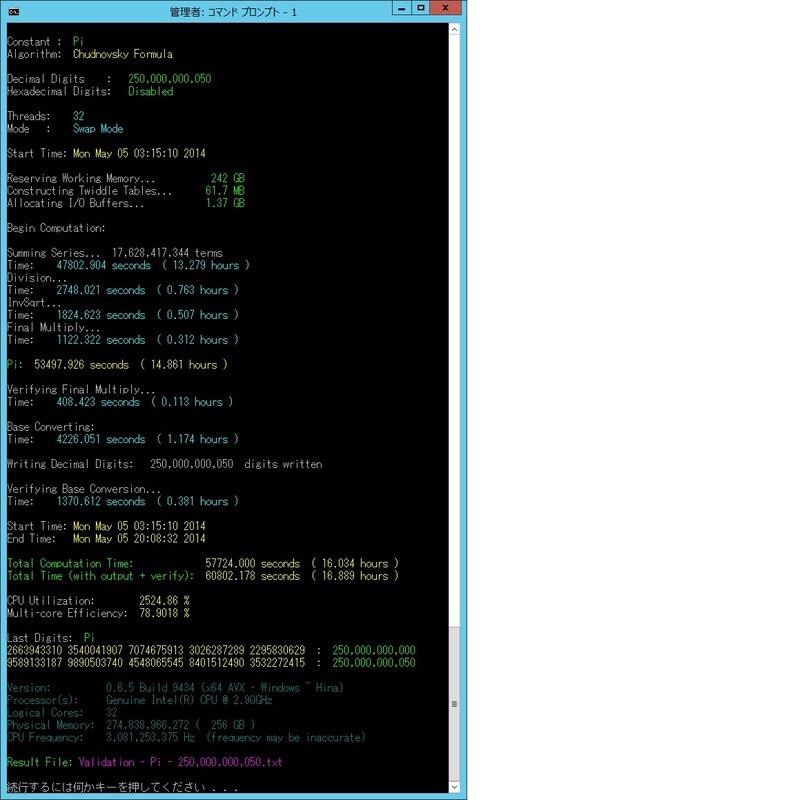 293.398 hours v0.6.9 x64 AVX Hina Linux Swap 109 GB yoyo 2 Intel Xeon E5-2670 2.6 GHz 128 GB DDR3 ?